Manufactured Homes | Takeshi Homma's New Company Plans to Bring Japanese Housing Innovation to the U.S.
Home » Takeshi Homma’s New Company Plans to Bring Japanese Housing Innovation to the U.S.
Look out, American homebuilders: A new Japanese company is launching in the U.S. in an attempt to give the housing industry a fresh dose of (pre-fab) innovation. The start-up leader, who has lived in the US for the past 10 years, points to the practice of site-building as costly, wasteful and lacking in innovative thinking. 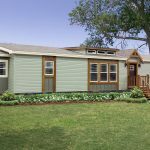 His line of manufactured homes, on the other hand, will focus on incorporating off-site construction and Japanese-made products with high usability and quality design. 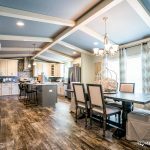 “The goal of existing homebuilders is to build and sell houses. Their business ends there. But when we sell houses, we want to make it a start of our relationship with customers,” Homma explained. The first of Homma’s prototype communities, called Homma One, will launch in Pennsylvania in March 2019. The company has already partnered with several big-name domestic companies for in-home technology collaborations, including Panasonic. In what perhaps is the most interesting component the new manufactured housing model, Homma says that, ultimately, Homma will aim to not only sell prefab homes themselves, but the concept of community as a whole, with neighbors sharing services—like gardening or security—through a subscription-based model.